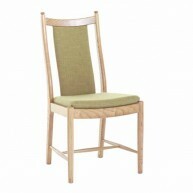 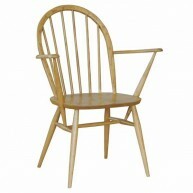 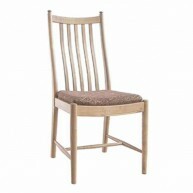 Categories: Novoli, Dining room, Dining tables, Ercol Tag: Novoli Brands: Ercol. 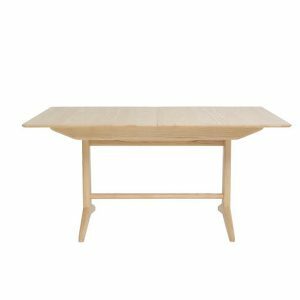 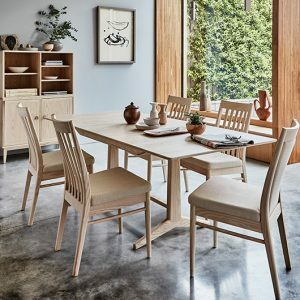 ERCOL Novoli Medium Pedestal Extending Dining Table. 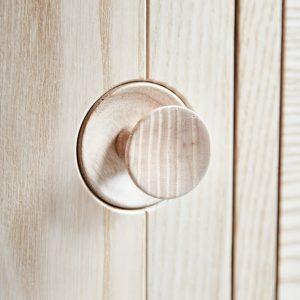 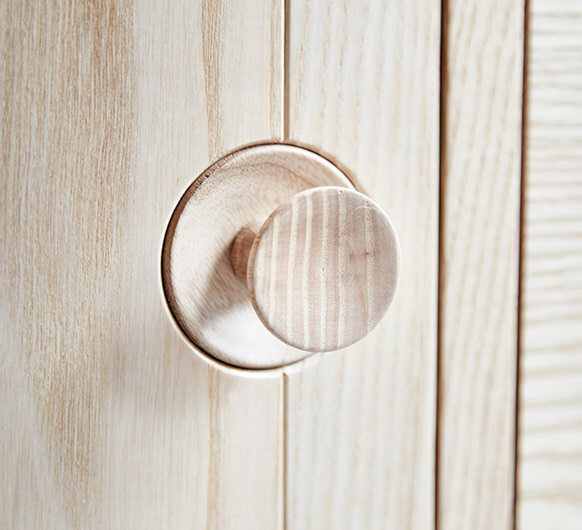 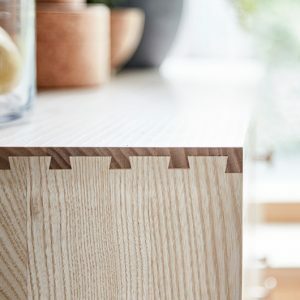 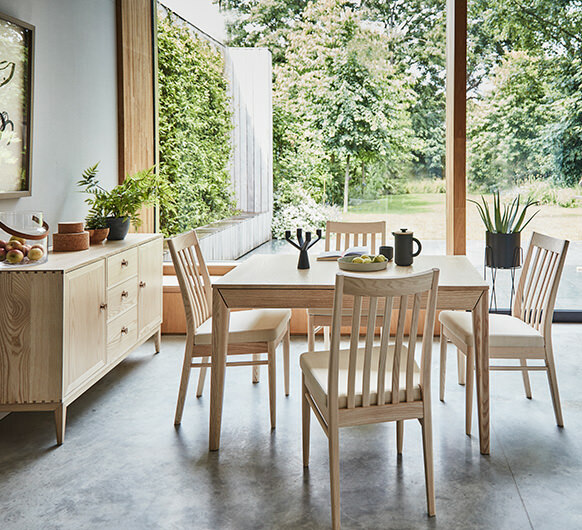 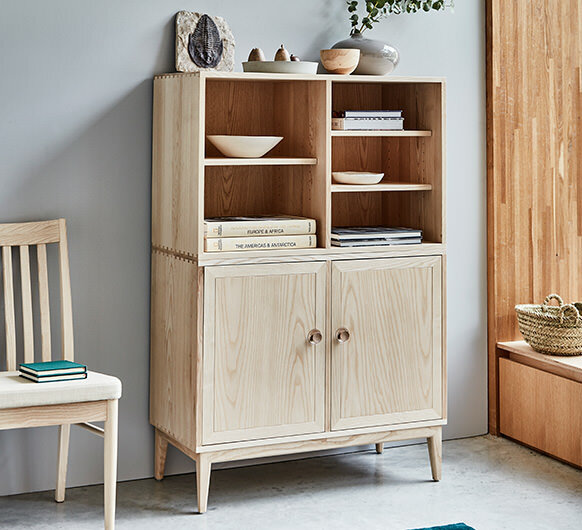 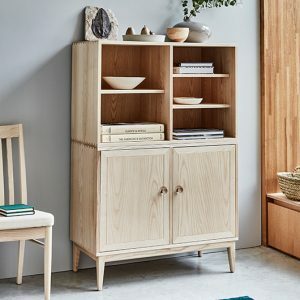 The look and feel of the new Novoli collection are fresh, clean and considered, with many features referencing ercol’s long heritage in solid wood furniture production. 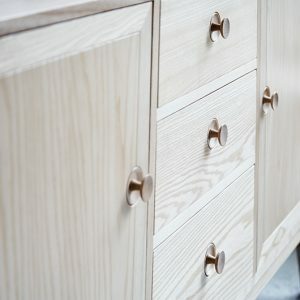 Made of solid ash, the cabinets have a light elegant feel. 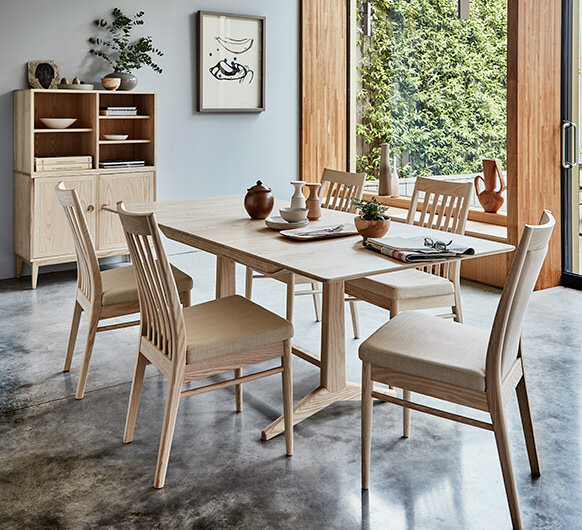 An extensive collection, there is a choice of dining tables, and dining chairs designed with comfort in mind, with a pitched seat and shaped back slats offering excellent lumbar support. 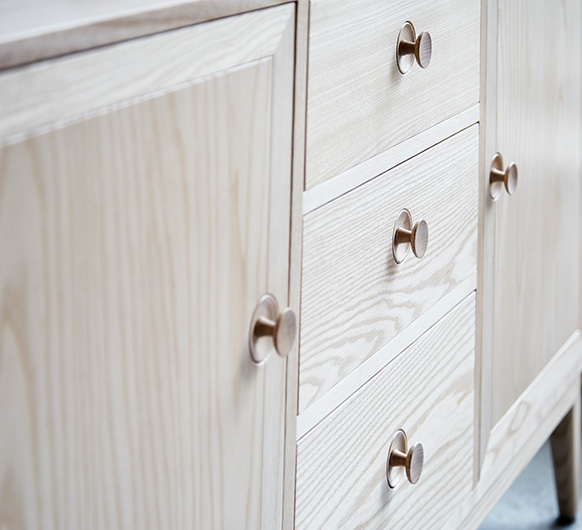 The collection is finished in a choice of clear matt lacquer or new chestnut colour lacquer. The practical medium pedestal table extends to seat 6-8 people. 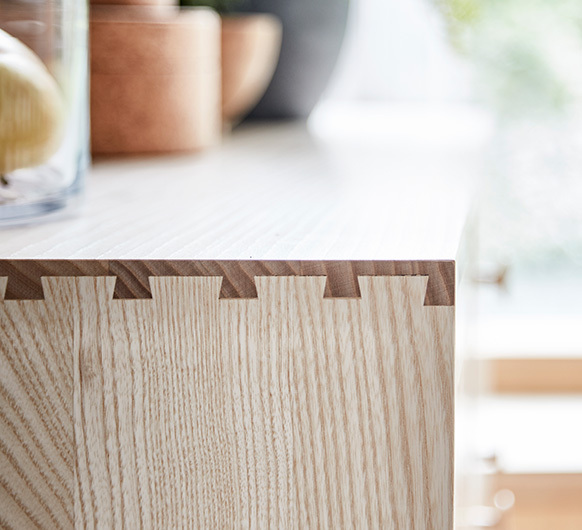 The extension leaf is stored within the table, opening with ease by a butterfly mechanism.